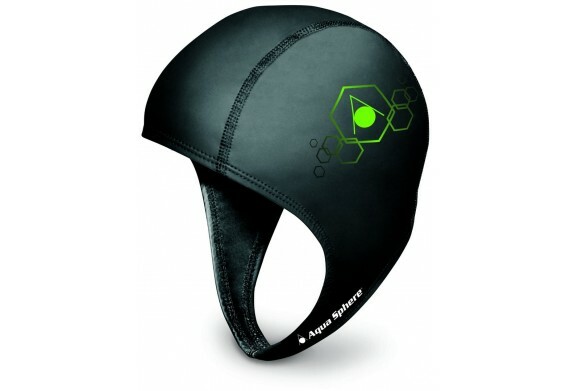 The Aqua Shere + swim cap, is durable and chlorine resistant. With special features chin straps for maximum comfort, and does not chafe or restrict breathing. The Aqua Sphere Speed + Swim Cap is a ideal swim cap for all swimmers particularly swimmers that have problems with their ears. With special features chin strap for maximum comfort - does not chafe or restrict breathing. The hydroform fabric offers great stretch with a hydrophobic surface. Polyurethane coated for thermal protection. The Aqua Sphere Speed + Swim Cap is one size only and can be worn by men and women, it is durable and chlorine resistant.